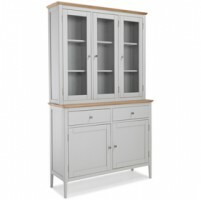 Now wouldn't this look splendid in your kitchen? 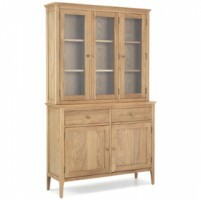 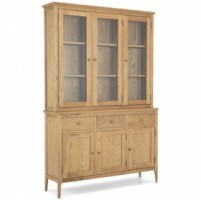 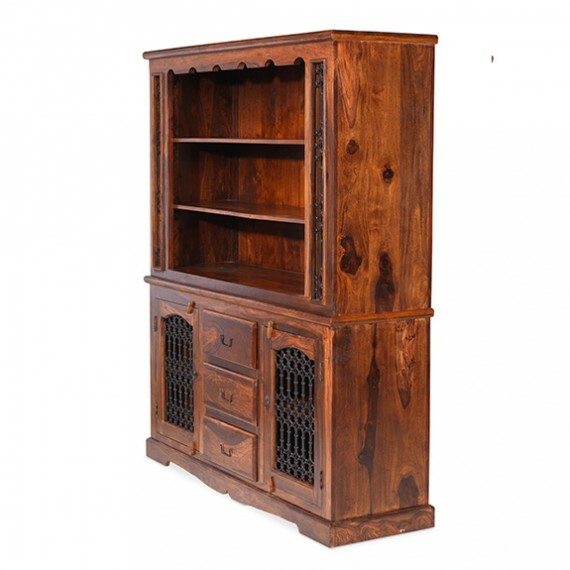 Perfect as an eye-catching standalone piece, it will also be great in combination with some other pieces from this colonial-style range if you want to create a themed look. 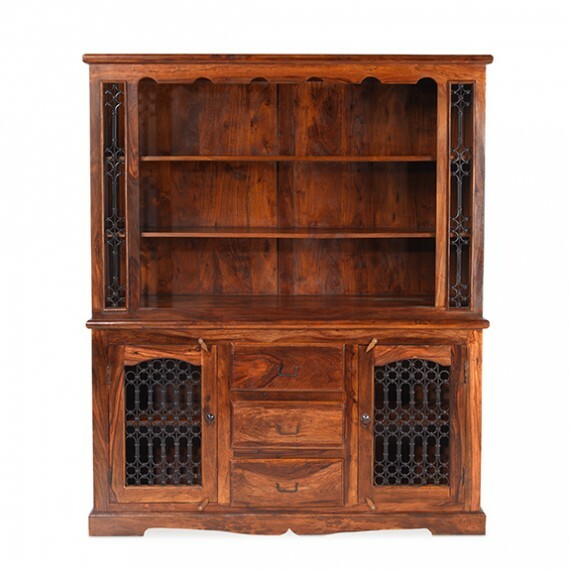 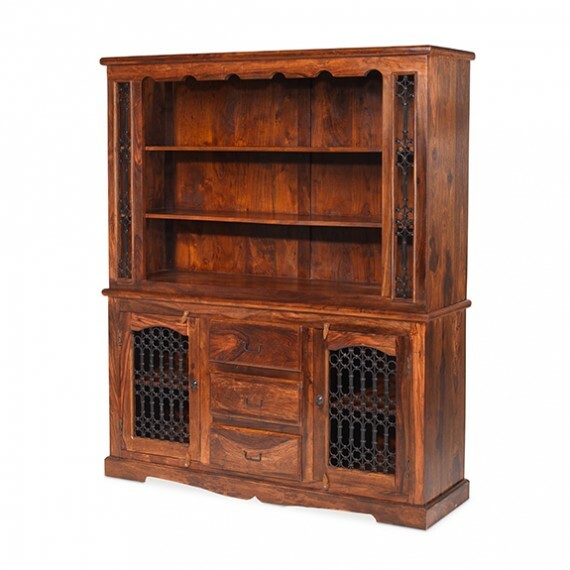 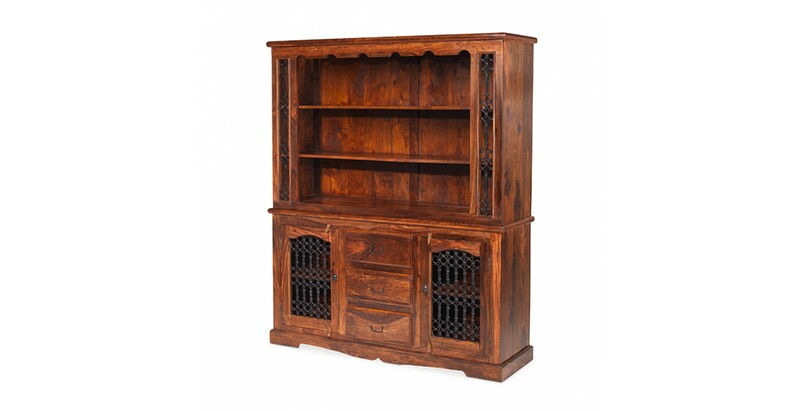 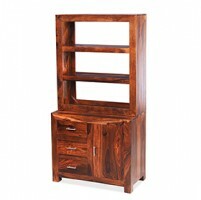 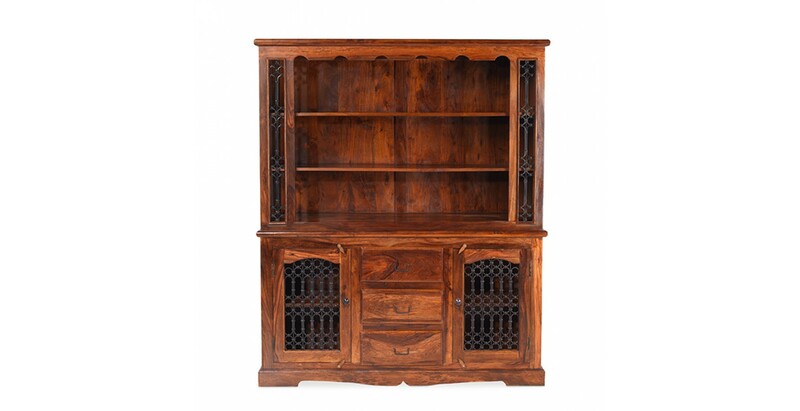 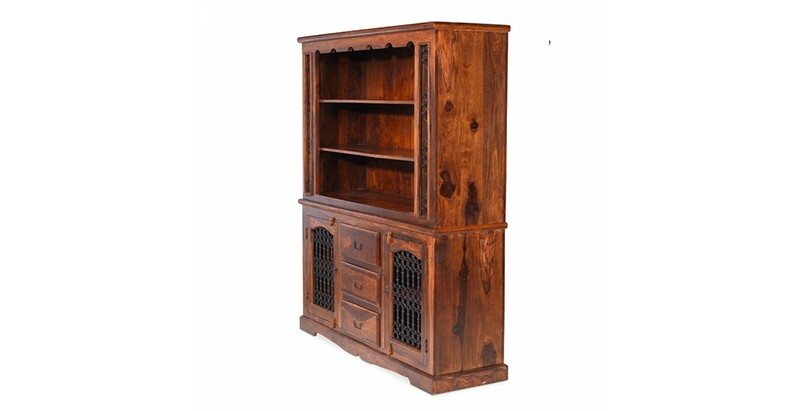 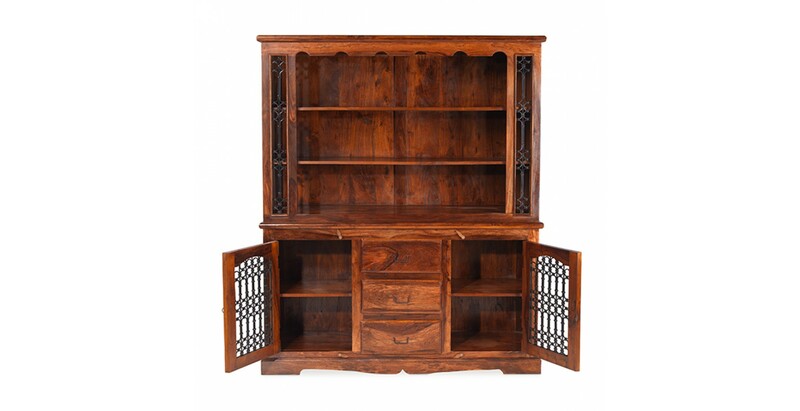 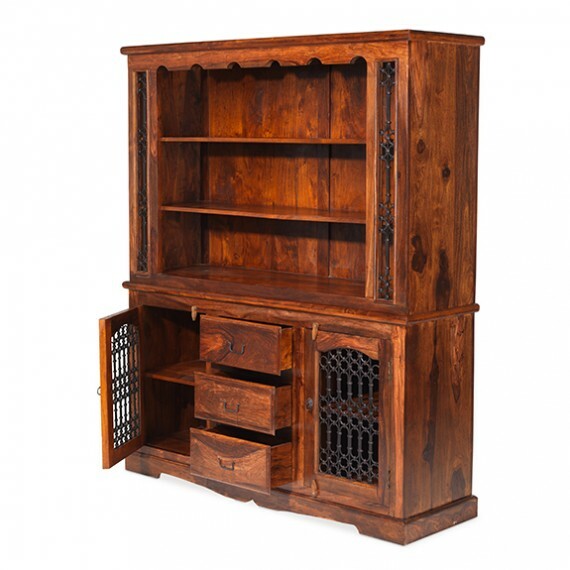 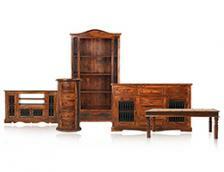 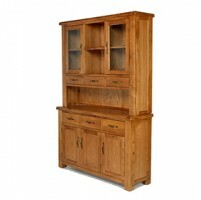 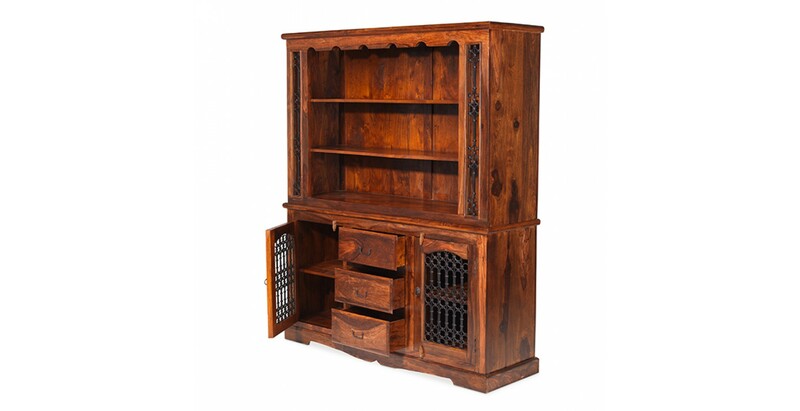 Handcrafted from Indian sheesham wood, it has three drawers, three wide shelves and a pair of cupboards, each with a shelf, to take care of all your crockery, cutlery and tableware in some style. 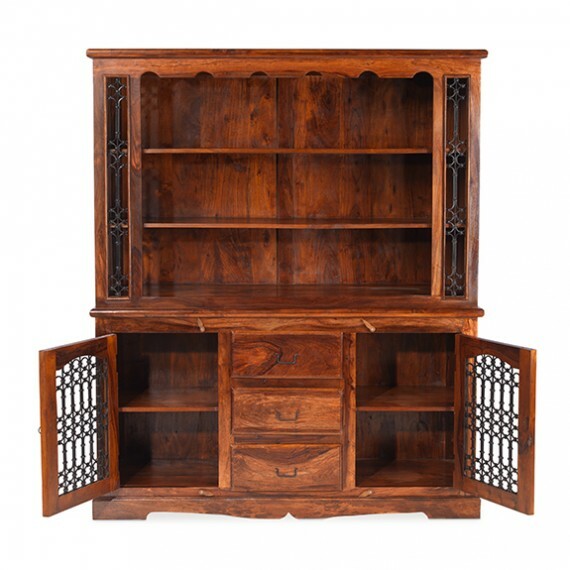 Its unique character is shown off to dramatic effect by the Wax Lacquer Finish and details such as the wrought iron portcullis work, iron drop handles, carved plinth and top only add to its authentic appeal.